The Stick……in the O.J. Simpson Case and its LEGACY OF DECEPTION – maddoggbuttkickingbrown's real truth! The words Legacy of Deception happen to be the title of one of the most intriguing books regarding the OJ Simpson case written. A book I assumed was apparently so rare that the only ones available were the few in tattered condition, due to the worn out, dog eared, “good quality” used copy I purchased on-line a few years back. However, I would be wrong in one instance; there were plenty in good condition left but in another manner I’d be correct in terms of its rarity. The book was authored by a prolific Denver true crime writer, whose authored more than a dozen books on the subject, Stephen Singular. His skeletal drafted manuscript of LEGACY was ready 6 months after the June murders took place by December of 1994 when seeking a publishing deal. Unfortunately, though he received his book deal, it was subsequently sabotaged by his publisher before the O.J. Simpson trial began. It appears that he wanted to see Simpson convicted of the murders of his ex-wife, Nicole Brown Simpson, and her friend, Ronald Lyle Goldman, before hand. Thus, the publisher of Dove Books, Michael Viner, would not publish Singular’s revelations prior to this trial’s beginning in January of 1995. Upon Simpson’s acquittal in October of 1995 the publisher became angry and recalcitrant towards Singular and appeared determined not to publish his book at all, he only relented after Singular personally challenged him to honor his publishing commitment. Although he came around and agreed to publish the book, Viner did not place any emphasis on marketing it, and the book simply became, for all intent and purposes, a collector’s item. When the investigative/author, T.H. Johnson, finally caught up with Singular in 2013 and made contact, Singular told him that he felt like he’d been dug up after being entombed for 19 years. It was an example once again of the amazing impact that the OJ Simpson murder trial of 1995 has had on the psyche of normal thinking individuals, who you’d think would act in a reasonable and civil manner; especially those who are still in a rush to judgment to produce broadcast productions of what they presume to be the truth without doing in-depth research beyond the same old narrative. Singular’s involvement in the Simpson case is discussed in the beginning chapters of one of the latest books on the Simpson trial written in 2015 by T.H. 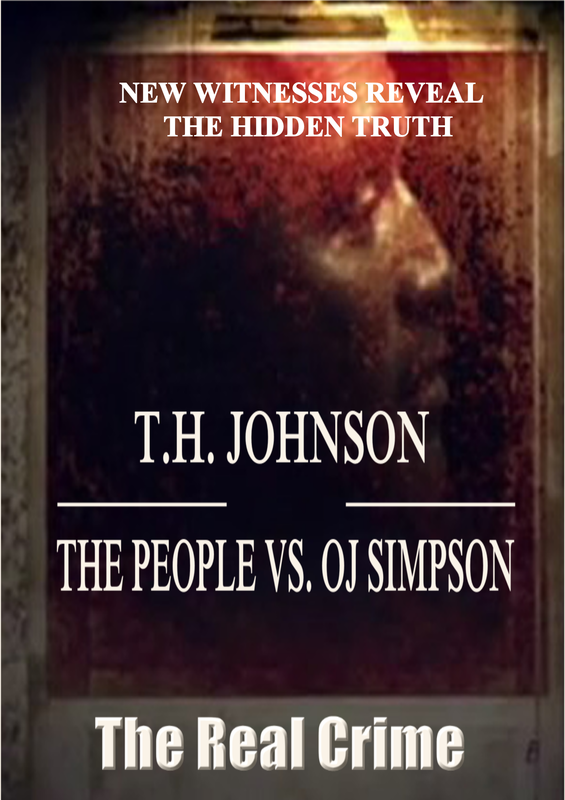 Johnson, the independent investigator from the OMIG investigative group, entitled The People vs. O.J. Simpson, the second in line following his compendium of investigative discoveries in his first offering, PURSUIT OF EXHIBIT 35 in the OJ Simpson Murder Trial. 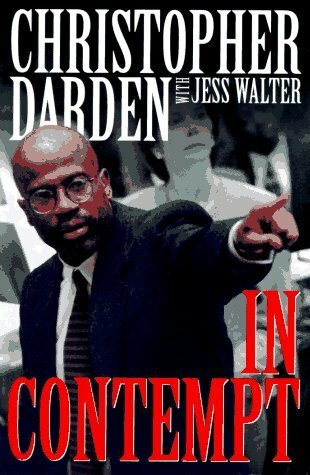 In doing his research on the Simpson matter, Johnson found a strange reference to Singular, who for most people was a person relatively unknown in the Simpson case yet he was discussed over four pages in Chris Darden’s book, In Contempt. Johnson wanted to know, who was this man when it came out back in 1996. According to LEGACY OF DECEPTION Singular was contacted shortly after the murders in the Simpson case took place in 1994 and subsequently he was visited by an LAPD insider that met with him in a park in his home town of Denver, Colorado. What this anonymous person would tell Singular in early August 1994 would potentially knock this case to its knees, and Singular wondered why he had been chosen to deliver the message. According to the anonymous insider, the infamous detective who found the glove at OJ Simpson’s Rockingham residence, Mark Fuhrman, had not simply gone to Simpson’s residence with the senior detectives, Tom Lange and Phil Vannatter, from the LAPD S.I.D. unit later that morning around 5:15 AM. The insider claimed that Fuhrman and someone else had gone to Simpson’s house earlier that dark night around 3:00 AM with the expectation that Fuhrman would find incriminating evidence. To his dismay he did not find anything incriminating and apparently got into an argument with whomever he had gone there with for leaving a crime scene. The maid who worked next door to Simpson, Rosa Lopez, would claim later at the time of the trial that she had heard men arguing in the middle of the night on the boundary line between her location and Simpson’s. The insider told Singular in August of 1994 that Fuhrman went back the second time with Vannatter and Lange and that he carried one of the bloody gloves in a blue plastic bag used by detectives to collect evidence. 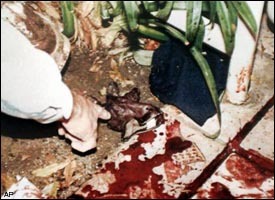 The insider alleged that Fuhrman picked the glove up with a stick made of a piece of wood broken off the back fence of Nicole Brown Simpson’s Bundy residence. Naturally, Singular was astonished by such claims and asked how could such allegations be proven. The insider told him that the police took photos of the glove and near the glove in the photo you will find a piece of the blue plastic evidence bag. Under a somewhat feeble cross examination 7 months later in February 1995, Det. Tom Lange would ultimately admit to seeing a piece of blue plastic near the glove. I use the word feeble as best to reflect on the subsequent anger Singular would have with Simpson’s own “Dream Team” that he took chances to help reveal this corruption. 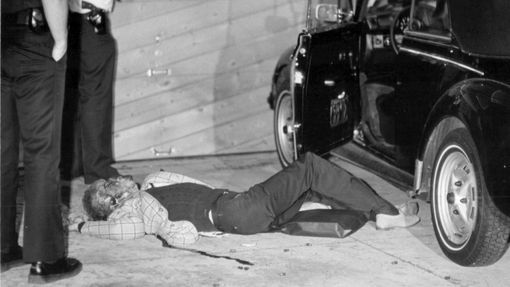 The stick used to carry the bloody glove was left on Simpson’s Rockingham property too, according to the LAPD insider, and would also be collected by the police as evidence found at the Simpson property. 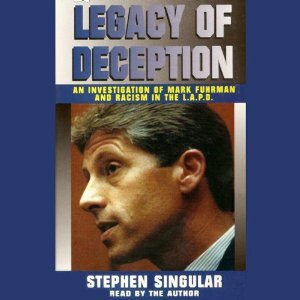 Singular asked the insider why they did not take this information directly to the police in Los Angeles, and was told that the level of corruption within the LAPD and the Los Angeles County justice apparatus in general was so insidious that officials within these departments could not be trusted. 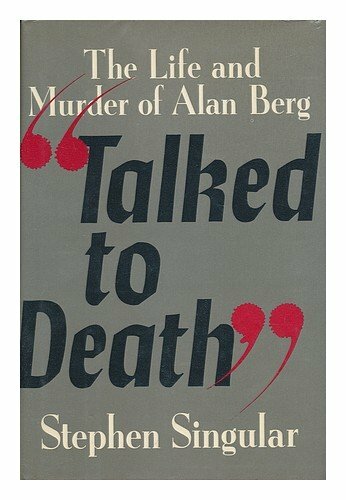 The reason he had reached out to Singular in Denver was because Singular had authored a book about the murder of a Denver radio talk show host by the name of Alan Berg back in 1986 entitled Talked To Death, one that Oliver Stone would later license from Singular to make a movie recounting the execution of Berg called Talk Radio. The killing of Berg was carried out by members of a neo-Nazi, white supremacist splinter group called The Order, who’d later be convicted of conspiracy, that wanted to start a violent national revolution by executing certain individuals. They had come down to Denver from Northeast Washington near the Northwest Idaho border a region of the United States that has become the headquarters for the racist Aryan nationalists. According to the LAPD insider, it also had become a popular retirement location for veteran police officers upon leaving the Los Angeles Police Department. Mark Fuhrman was known to move to this region as well, near Coeur d’alene, Idaho, when he retired in disgrace from the LAPD. The anonymous insider went on to say that there were neo-Nazi sympathizers within the LAPD, officers who were in command positions that protected these corrupt police officers who had a record of habitually corrupt practices while serving on the police force. This is why he saw no benefit in presenting such allegations to any of the justice apparatuses within L.A. County, and apparently California. The insider told Singular that he should attempt to get this information to the Simpson’s defense lawyers. Singular’s curiosity as an author in this genre of crime was intrigued enough to finally take up the challenge, and he would subsequently meet with members of O.J. Simpson’s defense team later in August of 1994. The “Dream Team” members would ultimately check out these bizarre allegations of Singular from his anonymous source and they would astonishingly find the evidence of these items to be true when they sought them out at the Los Angeles police property department. The defense team would in a sense now enlist Singular to attempt to get inside the LAPD forensic laboratory itself and secure other information they considered valuable but hidden. When Singular was not successful at doing so, or was not willing to do other things the defense requested, they appeared to act hostile and quick to kick him to the curb. In the meantime, Singular’s publisher would ultimately leak the information given to him in confidence to the L.A. D.A.’s office that Singular had a manuscript that contained information for which no one knew and had now given to the defense. The publisher, Viner, did it allegedly on advice of counsel to protect himself from any future charges. The prosecution would then attempt to sweat Singular to reveal his anonymous contact while threatening him with jail, if he refused. Singular still never gave in to their threats. The book is fascinating, to say the least, LEGACY OF DECEPTION and it’s an excellent read for those like us who still cannot get their fill of the O.J. Simpson murder case. 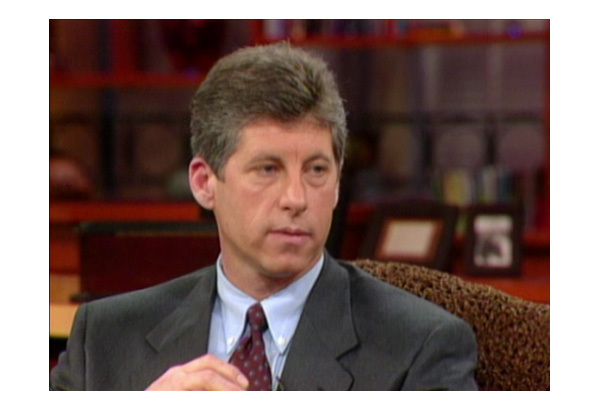 One last thing before I let you go, something that I find quite interesting is that Mark Fuhrman would ultimately author his own book of the Simpson case entitled MARK FUHRMAN Murder In Brentwood. His book would be published in 1997, two years after Singular’s book in 1995. What I find amazing is that Fuhrman’s book basically centers around he, himself, and all of the discoveries of evidence he made at Simpson’s Rockingham residence; the most important being the glove. 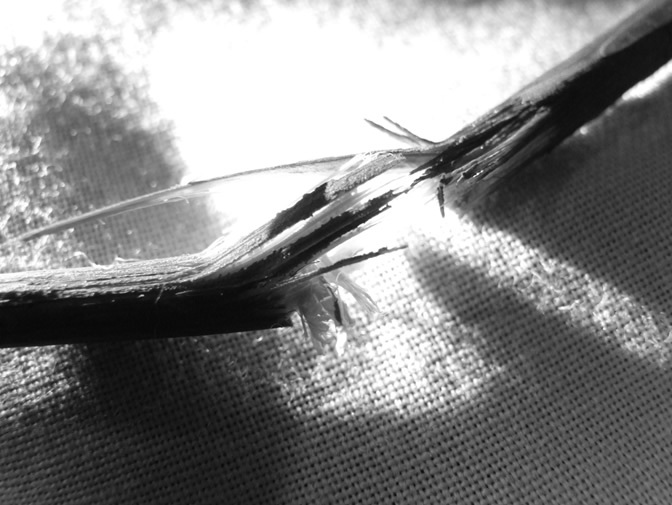 However, one item stands out as well as the glove that Fuhrman purports to have discovered. This item he discovers on the manicured boulevard in the upscale mansion neighborhood on Rockingham where O.J. Simpson lived. It is one of the highlighted discoveries made by Fuhrman that he talks about in his book, a piece of white stick that he claims looked out of place on the boulevard adjacent to Simpson’s Bronco. What is strange to us about that discovery is our attempt to imagine what significance Fuhrman thought it had in order for him to collect it as a potential piece of evidence in this murder case. Is Fuhrman attempting to imply that the perpetrator of these murders carried this piece of broken white stick from the murder site to Simpson’s property and dropped it? The onus was focused on Simpson already as a possible suspect when the detectives went to his Rockingham residence. Thus, Fuhrman apparently wants us to believe that Simpson brought the broken piece of stick to his residence after murdering two people. If so, why would Simpson do that? We cannot help but wonder if the truth inadvertently lies in the buried treasure of the last 20 years, LEGACY OF DECEPTION, whose anonymous source within the LAPD told Singular less than a month and a half after the murders took place in 1994 that Fuhrman himself broke that piece of stick off the back of Nicole Brown Simpson’s fence and used it to pick up the glove. Since Mr. Fuhrman elaborated about this stick in his book, as well as in his testimony on the witness stand, he needs to explain his thoughts about a murderer carrying such a stick back to his own residence. The idea of Simpson carrying it back to his home, and discarding it on a manicured boulevard, as those in his neighborhood after murdering two people is simply outrageously absurd. Hence, it further makes the idea of Simpson planting the glove on his own property seem. even more ridiculous and implausible, as it has always seemed to many, over the last 21 years. However, after reading Singular’s book, LEGACY OF DECEPTION, it raises the odds that the anonymous source was right in 1994, that it was Fuhrman who dropped that stick on Simpson’s boulevard, after he, Fuhrman, planted that glove inside the fence on Simpson’s residence. ← Getting The Same old, Same old Slop Warmed Over! Relative to the OJ Simpson Case.